Big Agnes is a name synonymous with quality backpacking gear and has been for a long time. Their line of sleeping bags, pads and tents is nothing short of impressive. The Q-Core sleeping pad line is full of options, including the insulated deluxe option. This sleeping pad is a three-season pad (comfort rated from 15 degrees F to 35 degrees F) and is one size of five options that you can choose from in the Q-Core Deluxe pad line. The 25” x 78” (width x length) is the largest in this series and weighs 33 ounces. While this seems a bit on the heavy side, it does include Primaloft insulation to get you through even more chilly nights on the mountainside. In addition the pad has heat-reflective technology to retain warmth. 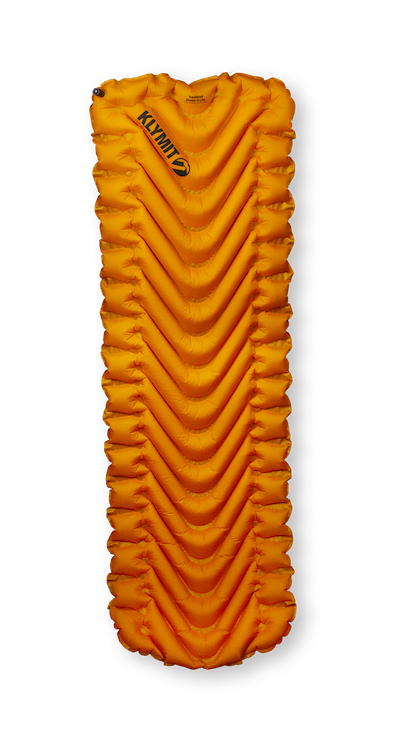 The Q-Core Deluxe is a very stable air pad because of how Big Agnes has constructed it with larger outer chambers to help keep you from sliding off the pad in the middle of the night, plus a quiet, quilted two-way stretch top for a soft pillow-like surface. 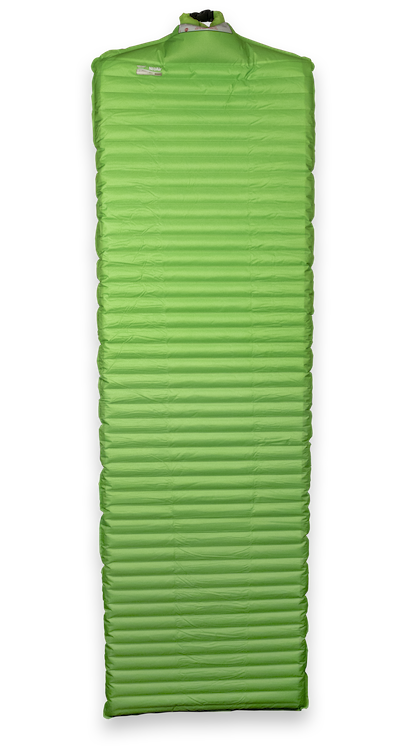 One of the features that I love the most about this series of sleeping pads from Big Agnes is the dual valve technology, allowing for super easy inflation and rapid deflation to help camp setup and teardown a breeze (pun intended). Klymit has built a brand around recognition, when you looked at the picture in this article you knew whether or not you had seen one of these pads at Sportsman’s Warehouse. That’s because the V shaped chambers have one of of the most unique looks and functions in the sleeping pad world. The V shaped chambers are designed to keep air in place rather than traveling from chamber to chamber as you move in your sleep. This nice feature makes it hard for the hips and knees to hit the ground. The Static V Lite has an R rating of 4.4, which is achieved through the use of Klymalite insulation throughout the pad. This puts the pad squarely in the three season rating and should keep you comfortable into the later seasons that often run throughout the West. The pad comes in at a light 19.9 ounces and for the minimalist that is going to be important. Klymit achieved this weight by concentrating on the features that give this pad a solid R rating while maintaining a spartan attitude. This pad doesn’t have a big air intake but I haven’t found that to be a problem. The pad is also covered in a material that feels like felt on the top for a little extra comfort. This pad is designed for the ounce counter and comes with an MSRP of $94.95 at www.klymit.com . I’m that guy who backpack hunts in the snow. It’s not necessarily that I really like it or think it tips the odds in my favor I’m just pretty sure that it is my lot in life, to get snowed on when I backpack in and as such I have taken a weight penalty to be prepared. Like in the sleeping pad department I will use a four season pad that weighs 1 lb 13.4 oz to make sure that I don’t shiver all night night long. The Thermarest NeoAir All Season SV is worth the weight if you tend to find yourself in camps that regularly have snow. The insulation in this pad is provided by the Triangular Core Matrix and the reflective ThermaCapture technology. To put in terms that guys like me can understand, think long triangular tubes made with a material that would look similar to a space blanket but a whole lot tougher. That is what makes this pad comfortable down into the single digits with the right sleeping bag to compliment it. 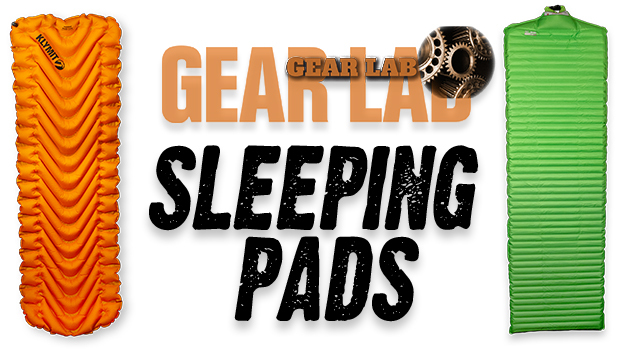 The post Eastmans’ Gear Lab: Backcountry Sleeping Pads appeared first on Eastmans’ Official Blog | Mule Deer, Antelope, Elk Hunting and Bowhunting Magazine | Eastmans’ Hunting Journals. Next articleSixsite Gunnison Jacket And Clear Creek Pant Giveaway!